The urn of Brigadier General Miroslav Liškutín was interned at his family grave at Šlapanice cemetery, near Brno. It was a well-attended, military organised, event with attendees including his grandson and family from the UK, Czech relatives, representatives of the Czech military, led by Major General Jan Kaše, Chief of the Military Office of President of the Czech Republic, CzRAF veteran Gen Emil Boček, local dignitaries, a coach full of residents from his birth village of Jiříkovice, several relatives of Czechoslovak RAF airmen and well-wishers. Music, for the national anthems of the Czech Republic and Great Britain, was provided by a Czech Army band. The ceremony included a flypast of 2 Griffin jets from the Czech Air Force. Numerous wreaths and flower bouquets were laid at the family grave, including from several, civilian attired, CzRAF reenactors who came to pay their respectful remembrance. Miroslav Antonín Liškutín was born on 23 August, 1919, at Jiříkovice, near Brno. He is the last of the surviving CzRAF veterans who had was training in the Czechoslovak Air Force to be a pilot in pre-WW2 Czechoslovakia. After German occupation in March ’39, he was one of those who escaped over the border to Poland in the Summer of 1939 and who had to travel to France and join the French Foreign Legion for the required term of five years. 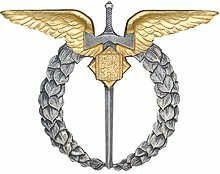 When WW2 was declared they were released from their Foreign Legion service and joined French military units. For Miroslav, this was joining l’Armee d’Air as a pilot, but by the time he had retrained on French equipment and also learning French, the Germans had, in May 1940, invaded France and a month later capitulated. Miroslav was amongst the many Czechoslovak airmen who were evacuated, by ship, from Bordeaux and brought to the UK where they joined the RAF. After English lessons and retraining at 3 EFTS (Elementary Flying Training School), 9 SFTS (Service Flying Training School) and 58 OTU (Operational Training Unit), he was posted, as a pilot, in September ’41 to 145 Sqn, a fighter squadron equipped with Spitfires. In November ’41 he was posted to 312 (Czechoslovak) Sqn, where he flew operationally including the ill-fated Dieppe raid when he shot down a Dornier Do 217 Luftwaffe bomber, and D-Day. After VE Day his final posting, on 15 May 1945, was to 313 (Czechoslovak) Sqn where he remained until the squadron returned to Czechoslovakia. During his wartime RAF service he had risen to the rank of F/Lt, had flown 465 operational hours during his two operational tours and had been awarded the DFC and AFC British valour medals. Similarly, Czechoslovakia had awarded him three Válečný kříž 1939 and a Za chrabrost valour medals. 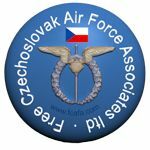 The Czechoslovak RAF personnel were finally permitted to return to their homeland in August 1945, by their country’s Russian liberators. 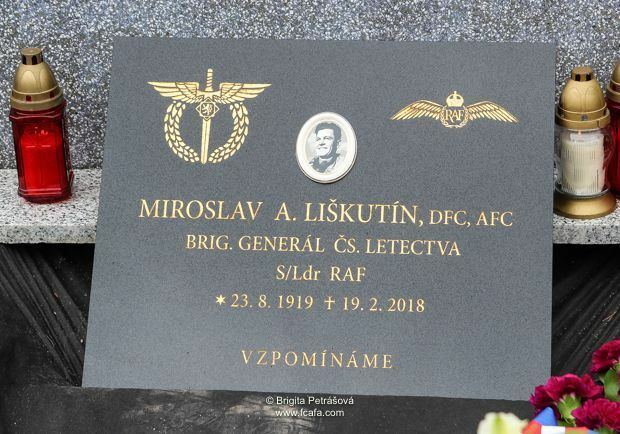 Miroslav remained in the Czechoslovak Air Force, serving in the 7th Air Regiment, but following the Communist take-over in February ’48, the former Czechoslovak RAF personnel became the subject of persecution from this new regime. Like many of them, he was forced to go into exile for a second time, by escaping over the border into Russian occupied Austria, making his way to the Britsh Embassy in Vienna and from where RAF colleagues escorted him onto a flight to England. He rejoined the RAF where he served until 1962, rising to the rank of S/Ldr. Miroslav then was employed as a civilian flying instructor until 1973 when he went to Lusaka, Zambia as flying instructor at the Zambia Air Services Training Institute until his retirement in 1979. In June 2017, the final year of his life, he was finally promoted to the rank of Brigadier General in the Czechoslovak Air Force. He died on 19 February 2018, aged 98, at Fareham, UK. This entry was posted in 312 Sqd, 313 Sqd, Ceremony, No longer with us. Bookmark the permalink. 1 Response to Miroslav Liskutin – Slapanice, 13.04.2019. Miroslav Liskutin was my hero and inspiration of life. I keep all publications about him and also the books he published himself about his life an service. Actually, he inspired me to run away from the same regime after I was ban of flying by the communist.